Nintendo really knows how to hype up a new fighter. Ever since Smash Bros. Brawl was released in 2008, Nintendo has highlighted new fighters through character reveal trailers. These trailers not only hype up brand new characters, but they also serve as good way for Nintendo to advertise the Super Smash Bros. series as a whole. Each fighter trailer is usually bigger and better than the last and has become a mainstay for Nintendo Direct broadcasts. A new fighter trailer is always shown at the end of a Nintendo Direct, and it has become something fans wait for each time a Direct goes live. With that in mind, we have pulled together five of the best character reveals from Smash, as we wait to see who Nintendo reveals will be joining Super Smash Bros. Ultimate roster as DLC characters over the next year and a half. This is the one trailer that started it all. Snake’s reveal in Super Smash Bros. Brawl came out of the blue and set a precedent for character reveal trailers. It was unexpected, weird, and fans absolutely loved it. Originally, some fans thought that the trailer was just highlighting the release of a Metal Gear Solid game or some other announcement. That was until Snake literally burst out of a box in front of Nintendo icons Mario and Kirby to join the fight. Guest characters in Super Smash Bros. were unheard of until Wii’s Brawl came along, with the series choosing mainly to focus on Nintendo-owned characters. The reveal of Snake changed everything, however, and opened the door for any huge third-party character to make an appearance in future titles. Nintendo’s Super Smash Bros. Direct in August revealed a bunch of new details about Ultimate months before its official release. Castlevania got its time in the spotlight first with the reveal of Simon and Richtor Belmont as playable characters. Then Nintendo dropped another bombshell on unsuspecting Smash fans. After the dust settled and the King DeDeDe joke failed to deliver, fan favorite reptilian king, King K. Rool blasted into Smash with arguably one of the best songs in the game thus far. K. Rool last appeared as a playable character in Super Mario Sluggers, a baseball game set in the Mario universe that was released in August 2008. He was one of the most requested fighters during Smash Bros. for Wii U’s infamous fighter ballot, which allowed fans to send requests to Nintendo about who they wanted to see next. Bayonetta was the overall winner of that ballot, meaning many potential fighters who scored highly were never included in the final game. That was, until King K. Rool finally joined the roster in Super Smash Bros. Ultimate. Everything about the Cloud trailer screamed fanfare. The trailer played shortly after a Nintendo Direct that showcased a brand new Final Fantasy spin-off game for the Nintendo Wii U. At the time, Final Fantasy was huge, with a new game on the horizon and the Final Fantasy VII remake revealed a few months earlier. Cut back to the Direct and ominous Final Fantasy music began to play over a shot of stars in the sky. The Smash Bros. logo is revealed before that iconic title—Final Fantasy VII— shows itself. Then, out walks Cloud— the most recognized Final Fantasy character of all time and a character that was on everyone’s most requested fighter list. No one believed that he would ever make it to Smash, yet he did, and there was much rejoicing from fans. Ridley had been missing from the Smash Bros. series up until Ultimate’s roster reveal at E3 in June. Up until that point, the character had been used as a boss in Brawl’s adventure mode and as a background character or stage boss in one of Super Smash Bros. for Wii U and 3DS’s stages. Many fans had assumed the character would just never make it into the game as Masahiro Sakurai, the director and creator of Smash Bros., had said in previous interviews that the team would need to shrink Ridley down from his massive size to include him in a Smash Bros. title. Sakurai was always against shrinking Ridley down just to add him into the roster, up until now, which makes his big reveal at the end of Nintendo’s E3 Nintendo Direct all the sweeter. The reveal set a precedent for Smash Bros. Ultimate with many fan-requested characters being added to the title, including King. K Rool and Simon Belmont. 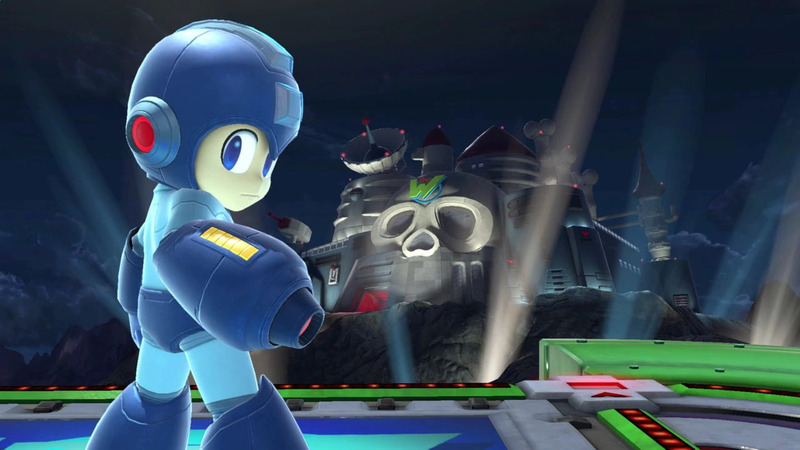 Mega Man’s reveal for the Wii U version of Super Smash Bros. was hype intensified. Megaman’s reveal rekindled a lot of gamers’ memories of playing with the Blue Bomber on the NES back in the 1990s. Sakurai and the Smash Bros. team had incorporated everything that was great about the Blue Bomber into a short two minute trailer that is repeatedly played to this day. The love for Mega Man only continued into the Super Smash Bros. E3 invitational and when the Blue Bomber finally got that Smash Ball for the first time the crowd lost it. It was everything you wanted from a new character reveal trailer, which got players excited not only to play Mega Man but also salivating over the prospect of a new Smash Bros. title on the horizon.